In 2007 ArtsArchitecture and Jasper Jacob Associates developed a brief and concept plan for a new permanent headquarters for the Golden Web Foundation, a worldwide cultural resource and academic research facility for Islamic art and architecture. 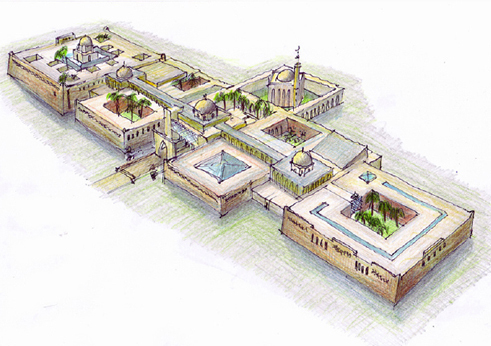 The headquarters building will house a museum and permanent exhibition showcasing art and architectural development in the Islamic world, divided into twelve regions, each with their own gallery and courtyard garden, disposed around a central space dedicated to the common themes of geometry and pattern. 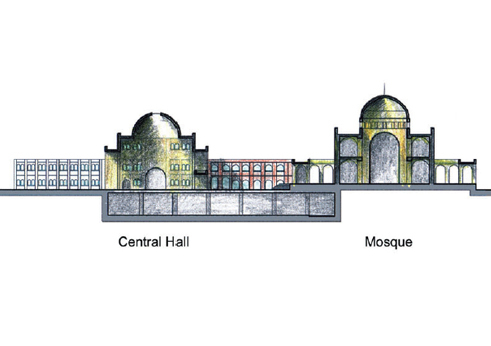 In addition to the Museum, there will be a 100-room postgraduate college, a 40-room guest house, a Learning Centre including a reference library, online study suite and exhibition area, a 400-seat Auditorium, seminar rooms, cafe, restaurant, craft souq, Foundation offices and a mosque. 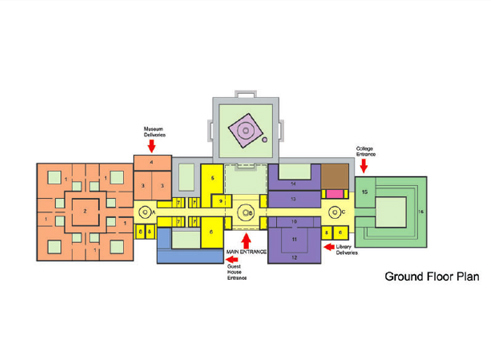 A central circulation spine unites the facilities. The accommodation will be disposed around a series of courtyards in the Islamic style, creating both contemplative and vibrant elements within the whole.